Alberto Moreno was yesterday called up to the Spain squad for the first time since 2014; a reward for his superb start to this season with Liverpool. Despite James Milner playing left-back last term and £10m Andrew Robertson arriving in the summer to bolster the position, Moreno has become an automatic pick under Jurgen Klopp. He’s stopped making the defensive mistakes that categorised his first three years in red and has added both steel and an offensive nous. Having said that, it was still a surprise that Julen Lopetegui called him up, with Chelsea’s Marcos Alonso a regular pick in recent months. “Alberto Moreno? He’s a starter for Liverpool, he’s always playing and I know him very well from youth categories. Now I want to see him up close,” Lopetegui told Football Espana, when asked about his call-up instead of the other candidates. 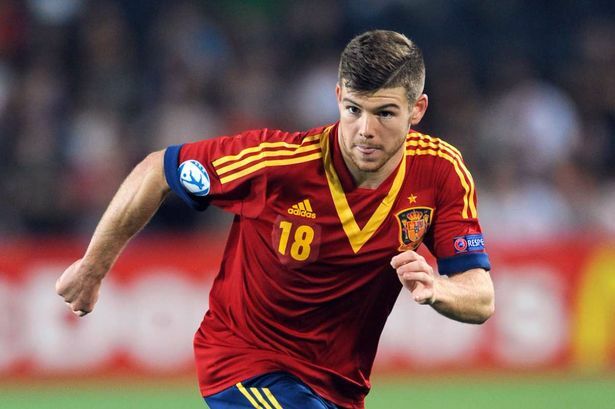 Moreno will now compete with Jordi Alba for the position, with the aim of impressing sufficiently that he’ll be selected for the World Cup next year. We hope he impresses for Spain, as it’s the least he deserves. Moreno is absolute proof that if you knuckle down and work on your game you can turn a career around.